Our friendly support team is available 24/7 for urgent issues relating to upcoming or in progress bookings, and between 9.00am and 6.00pm, 7 days a week for all other enquiries. Our Help Centre contains the answers to a lot of common questions, so if you haven't already, try searching in the search bar at the top of this page. If you can't find the answer to your question, get in touch with one of the methods below. Live chat is available during business hours. To chat with us click the 'Support' button in the bottom right-hand corner of any page on our website. You'll be prompted to chat with our friendly robot and if he can't answer your question you'll be connected to a member of our support team. 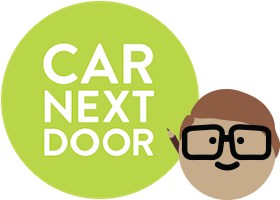 For any non-urgent enquiries, you can email us at members@carnextdoor.com.au and we'll get back to you as soon as we can (it could take several days). If your enquiry is urgent, you can reach us 24/7 by phone. You'll find our phone numbers on the Contact Us page.